What does it take to be a winning youth coach? 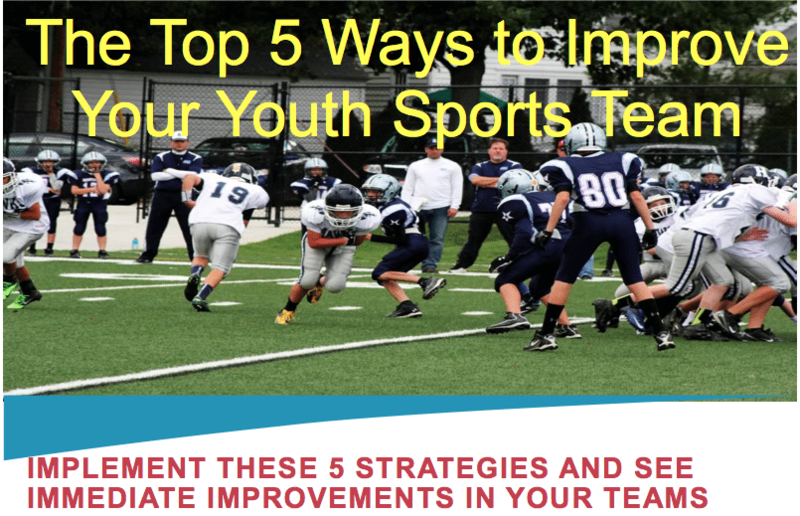 Listen in as John Doss shares stories and discusses his journey to becoming a successful youth sports coach. 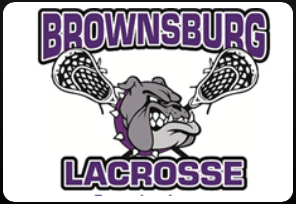 John is entering his first year as the the Brownsburg Lacrosse High School Head Coach after 2 years as the 7th/8th grade coach. John played collegiate lacrosse as a goalie at San Jose State University. He was named a West Coast Lacrosse League (WCLL) All-Star 3 times. Coach Doss also played 3 years of post-collegiate lacrosse with San Francisco Lacrosse Club and still remains active as a player with DOGS Lacrosse in Indianapolis. John is married, lives in Indianapolis and is a supply chain sales manager. ‘The Dreaded Playbook’ – installing too many plays and confusing the kids. Learned that simple is better, fundamentals are more important than game theory. Coach has a goalie that beats himself up after any goal allowed – he tells the kid he can take 3 seconds to be upset, then move on. He will even count 1,2,3 out loud so the kid remembers. 1 rule: Respect. Respect coaches, teammates, opponents, referees, yourself, and the game. 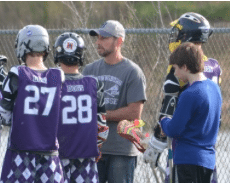 Coach Doss uses the lacrosse game format to discipline during practices – he has the player take a knee for 1 minute – he is taking away what they really want, which is to play. One of John’s goalie’s parent was debating about having their son try out for a travel team – John encouraged the parent to have the kid tryout – regardless of the outcome – try it! Don’t be afraid of failure, just go for it. John’s team was overmatched, got down early, then scored several goals and had a bunch of momentum – and John called timeout to set something up – and he totally killed the team’s momentum. When coaching a kid in a game – if you want to pull them out to teach them something – don’t pull the kid out and put them at the end of the bench. Pull them out, teach them, then put them immediately back into the game. That way kids don’t see coming to the bench as a punishment, they see it as an opportunity to learn. This entry was posted in Podcasts and tagged in athlete, baseball, basketball, Brownsburg Lacrosse, brownsburglacrosse.com, Championship Productions, cheerleading, coach, Coaching, coaching podcast, coaching your own child, coaching your own kid, coaching youth, coaching youth sports, dad, dad coach, daughter, ESPN, football, gymnastics, hockey, Indy Elite, indyelitelacrosse.com, John Doss, lacrosse, mental toughness, mental toughness kids, mlb, mom, mom coach, national alliance youth sports, nays, NBA, NFL, Parenting, pca, peak performance, Pete Carroll, podcast, podcasts, positive coaching, Positive Coaching Alliance, Roger Federer, soccer, softball, son, sports, sports podcast, sports specialization, swimming, TeamSnap, The Classic Guide to the Mental Side of Peak Performance, The Inner Game of Tennis, US Lacrosse, volleyball, W. Timothy Gallwey, winning, Winning Youth Coaching, Winning Youth Football, youth, youth coaching, youth sports, youth sports podcast.